Carrots ‘Nantaise’ (Daucus carota 'Nantaise'): growing, planting, caring. 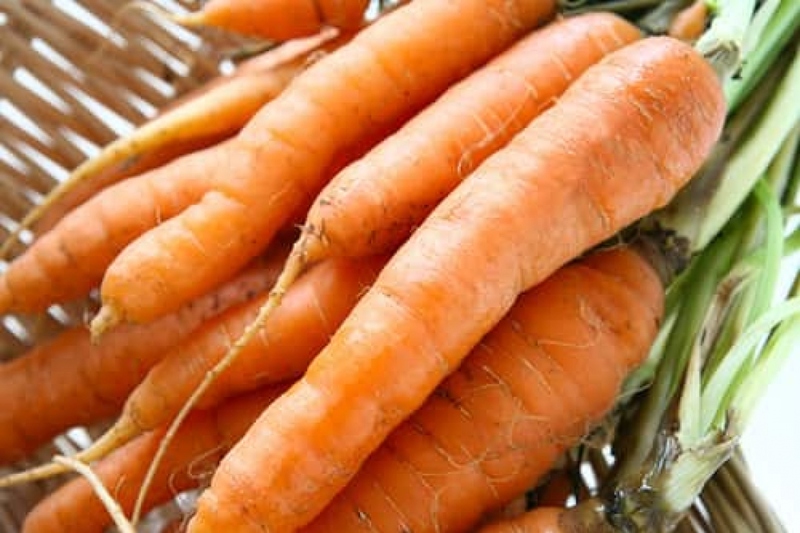 Nantes Carrots are almost perfectly cylinder-shaped, almost the shape of a sausage. Nantes Carrots are rounded and wide, and a deep orange colour. They are crisp, and have a sweet, mild flavour with a fine, tender core. They are more popular in Europe than in North America. Though the flavour has been praised in North America, they are not grown commercially : they tend to split or crack when machine-harvested, and don’t ship very well. Dacus carota are annually cultivated perennials with compound foliage. Each foliole is divided up into many points. It flowers with white umbels during the summer. Rabbits are crazy for them, but even your kids will want to come to the vegetable garden with you — washed with water, they're fresh, crisp and packed with vitamins... Yum! Carrots can be sown in rows starting in April and throughout the summer. Plant in open soil, where the earth is deep, cool, sandy and exposed to the sun. Water after sowing. You may seed starting at the end of February/beginning of March under a greenhouse tent or cold frame for an early harvest. Quick note! Carrot seeds are very small... Mix them with a bit of sand to help sow them more evenly. Another thing! Mix in some radish seeds too! The radishes will grow more quickly, giving the young carrot sprouts a little shade and then leaving them space one they're harvested!. They'll also keep red spiders away!